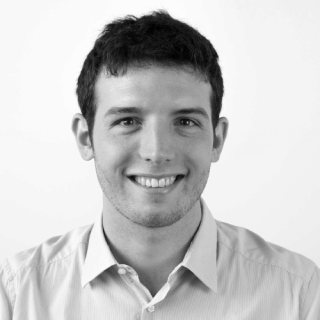 Andrea Giardini is the Engineering Manager for the SRE team of Camunda GmbH. He’s been fascinated by the DevOps mindset since the early days of the movement and has worked extensively with containers and cloud computing, gaining experience across a wide array of platforms. Before joining Camunda, Andrea worked at CERN in Geneva on a project to detect and manage configuration drifts inside the CERN infrastructure. At Camunda, he’s responsible for the infrastructure that builds and tests open-source projects. We can’t discuss automation and DevOps without discussing Continuous Integration and Deployment. At Camunda, we develop open-source software for workflow automation and, over the years, we’ve built an extensive CI/CD system based on Jenkins. Today our biggest instance has more than 2,500 jobs. On top of that, our other projects manage Jenkins instances autonomously, relying on Kubernetes. Reaching this scale was a challenge in terms of organization, performance and scalability. The infrastructure team at Camunda had to evaluate different solutions and find ways to manage such a complex scenario, while giving developers the right degree of freedom and trust. During his talk, Andrea will explain how his team is able to manage all these environments and which approach they found most successful for their use case. Kubernetes has become the de-facto standard to run you containerized applications in the cloud: over the past years we have seen a very steep adoption curve and many interesting projects around it. This workshop aims to give an introduction about Kubernetes. We will start from understanding the basics concepts and principles and step by step move to more advanced topics. By the end of this workshop you will have a grasp on how Kubernetes works under the hood and what you can achieve with it. Also, you will be able to deploy a simple application to Kubernetes and scale it.